VW executives are exploring a crossover version of the future Jetta SportWagon inspired by the recently introduced Alltrack concept. It would square off against the Subaru Outback. Volkswagen is not finished with plans to extend the Jetta portfolio. Company officials are mulling a plan for a crossover version of the future Jetta SportWagen along the lines of the recently introduced Alltrack concept. "We think there is definite sales potential in North America and other world markets for a new lifestyle-targeted Jetta model," a senior Volkswagen source told Autoweek, a sister publication of Automotive News. "It could be based on the successor to [the] existing model." The vehicle under discussion is a Subaru Outback fighter, complete with elevated ride height, uniquely styled bumpers and light graphics, additional wheel-arch cladding and specialized interior trims. To keep development costs in check, the wagon and the crossover would share the same steel body and mechanical package. The crossover, which likely would take the name Jetta Alltrack for sales in the U.S. market, was conceived to offer the choice of either standard front-wheel drive or optional all-wheel drive. 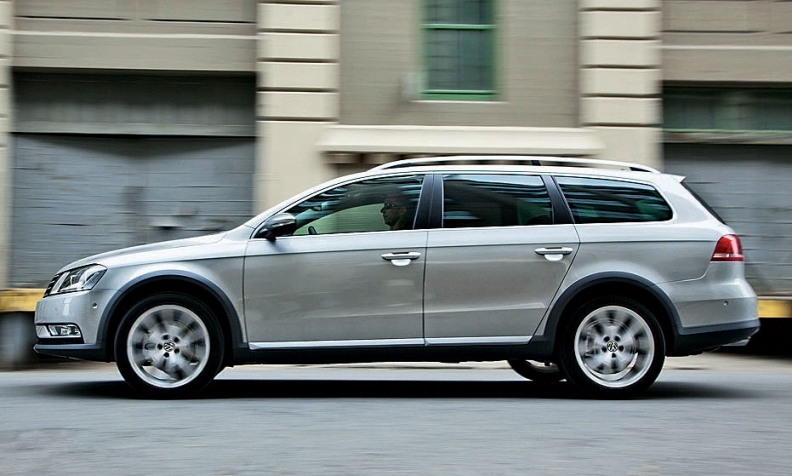 It could potentially be sold in other markets, including Europe, as the Golf Alltrack. With the next-generation Tiguan due out in 2014 set to increase in size and offer an optional third row of seats in North America, Volkswagen clearly sees room at the lower end of its lineup for another crossover offering. The Jetta crossover would be assembled alongside future variants of the existing Jetta sedan and SportWagen and the upcoming Jetta four-door-style coupe at a plant in Mexico. All four models will be based on Volkswagen's new modular platform structure. A four-cylinder direct-injection gasoline and diesel engine for the Jetta models will also be sourced at a plant in Mexico.